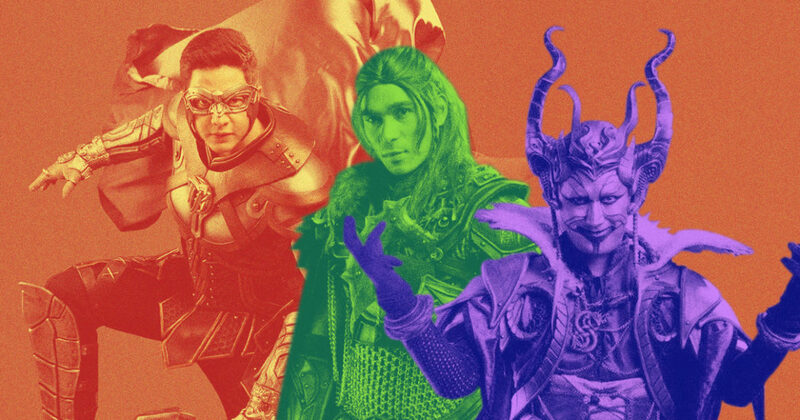 Why are the effects in Victor Magtanggol unrealistic and bad? Are Filipino artists incapable of doing what Hollywood artists can do? 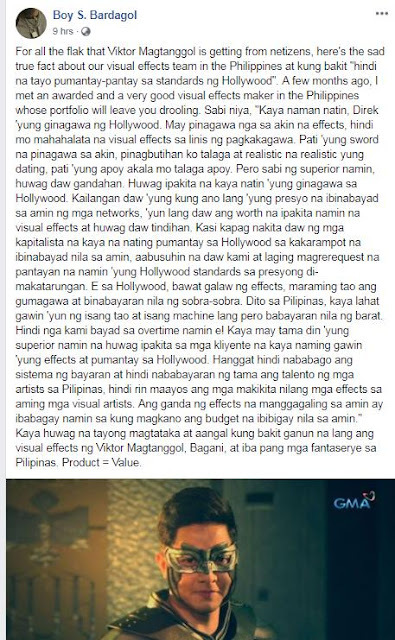 An artist reveals in his Facebook post the reason behind the bad effects in Victor Magtanggol and local cinemas and tv series. What is the reason behind the bad effects in Victor Magtanggol and others? Boy S. Bardagol, an awarded filmmaker, TV and movie screenwriter, advertising and music video director. and actor reveals the real reason behind all the controversial effects. According to his Facebook post, it was not that they are incapable but more because their bosses told them not to make it as good as Hollywood does it. It seems that we could really make it better if only our artists will be paid more. But should they really produce such low-end effects or should they make what should really be done despite the pay? What do you think?